The Temple Mount or the Dome of the Rock in Jerusalem is considered sacred to Jews, Christians, and Muslims. 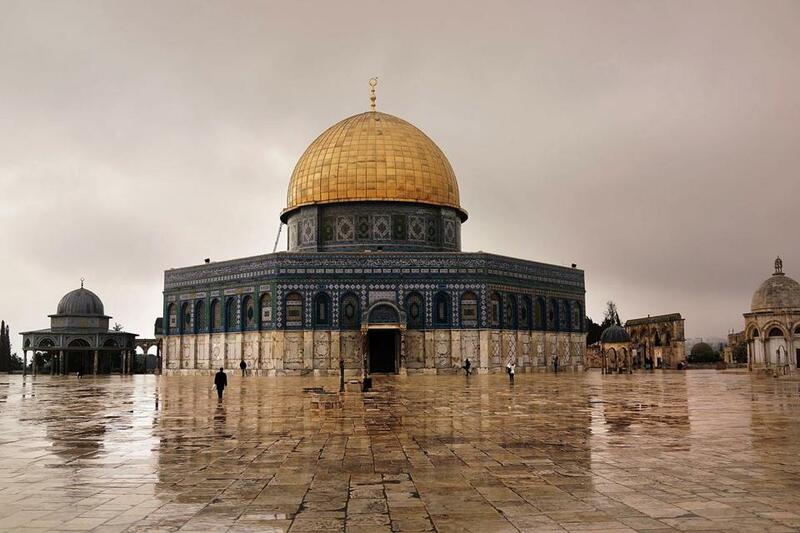 The United Nations’ animus toward Israel took a truly deplorable turn last week with the passage of a resolution implicitly denying the Jewish people’s historic connection to the holiest site in Judaism. That site is Jerusalem’s Temple Mount, so named for the two Jewish temples that stood on the site for almost nine centuries — the first built by King Solomon nearly 3,000 years ago, the second destroyed by the Roman legions under Titus in 70 A.D. One needn’t be a Bible scholar or a historian to know that the cultural, religious, and emotional bonds that link the Jews to Jerusalem are unparalleled. For millennia, Jerusalem and the Temple Mount have been central to Jewish self-awareness — and thus to Christianity as well, since the Temple figures prominently in the Gospels’ account of the life of Jesus. Alas, that didn’t stop the World Heritage Committee of UNESCO — the UN’s Educational, Scientific and Cultural Organization — from adopting an Orwellian resolution on the status of conservation in Jerusalem that pointedly ignored Judaism’s connection to the Temple Mount. By a 10-2 vote, with eight abstentions, the committee approved a document that not only accuses Israel of endangering the revered compound, but also refers to the site throughout solely by its Arabic name, Haram al-Sharif. This was no innocent oversight. An earlier draft of the resolution had even more aggressively airbrushed the Jewish ties from Jerusalem’s Old City. For example, it had identified the Western Wall by its Islamic name, while placing the far more familiar Jewish title in quotation marks. The resolution is only the latest outgrowth of a decades-long conflict that must be resolved through peaceful negotiations toward a two-state solution. But there’s been no progress in that direction in years. UNESCO’s tendentious semantics play into an ongoing propaganda campaign by the Palestinian Authority to “de-Judaize” the identity of Jerusalem, the foremost Jewish city on earth. UNESCO erred by allowing itself to be dragged into this controversy. This blatant historical fabrication is a relatively recent endeavor. It began in the 1990s, when Yasser Arafat took to insisting that Jesus was “a Palestinian” and when the Arafat-appointed mufti of Jerusalem declared, “There is no proof at all that the Jews were ever in Jerusalem.” In reality, the Jewish significance of Jerusalem and the Temple Mount is so clear-cut that, decades ago, even the city’s Muslim leaders once stressed the point. Jerusalem is sacred to Jews, Christians, and Muslims. Its holy sites have never been safer, or open to more people, than in the 49 years since it was reunified under Israeli administration. If UNESCO has constructive suggestions to improve the status quo, by all means let it proffer them. But spiteful resolutions that distort history are the very opposite of constructive and deserve only contempt.